Contract Details: Youth League from season 2012/13. Signed 1 year contract for Season 2014/15. 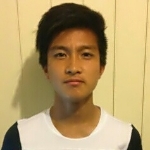 Description: Marty Lo is a diminutive but battling defensive midfielder with loads of potential. Injuries curtailed his attempts at breaking into the first team and he was released after season 2014/15 to find first team action in the lower leagues. Or the crutches and brace were extreme measures to prevent further agitation. Or it's just joke (preferred). Where's that cousin of his?! Wouldn't he need to be stretchered off? Not always. It would depend on the injury. For example- I've heard that if you partially tear your Achilles, you can't walk on it - but if you completely tear it, you can walk fine. Maybe something similar for the knee. Unless your ligaments have been totally violated, you can often walk off with a substantial knee injury. Most of the time the biggest I pact is that the joint is no longer stable (and hurts like hell), so you might walk/hobble okay but running or even just quickly changing direction is a risky prospect. We're just used to watching pro footballers be stretchered off as a precaution. I've known weekend warriors who kept playing on damaged knees for half a season until a slot opened up for them at the hospital to get the reconstruction. Having said that, even minor knee injuries can sometimes get the full brace and crutches treatment because it can speed recovery. Thanks for getting us the info flukey fat chance getting anything out of the club or Popa!! Sounds exactly what happened to NTS! Good news - His brace is off!! I'm still upset he's been released. He's playing for Parramatta FC. It hasn't been officially announced by the club but when a player hasn't been offerred another senior deal after his deal expired last year (one of the youth spots) & is now playing NSWPL you sort of connect the dots. It's a shame injury plagued his time & he never quite nailed down one of the spots in youth team. Shame it wasn't annouced by the club, seems like poor form from my perspective. He may be there to get himself back to full fitness. He's only what 17/18 (? ), still time. Played U20's for Parramatta last week. Nah. Can't do this anymore. Edit: I actually don't know the context but I really want this kid to get out there. And, btw. There's been some mistake.. His thread is in the ex-players sub. Har har! Very funny.. put it back in the players sub. Come on. He posted something about turning 18 y'day. its been 20 minutes - is he injured yet? but serious, how's he going? 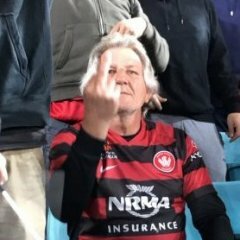 The handful of appearances I saw of him at WSW for NYL, the biggest thing that hurt him was that he was bullied at will off the ball apart from his injury issues that hampered the majority of time with us. Definitely needs to bulk up! i agree. there isn't much too him - a bit of bulk would go a long way. also has a very low centre of gravity like messi. was fantastic to watch when i saw him play NYL a season or two ago.